Culture, religion and traditions may vary, but as human beings we are all united by a need to mark the important stages in our lives with rituals. 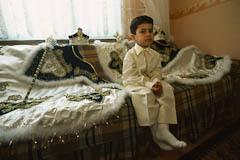 The project Rites of Life depicts people at some of the most emotional moments of their lives. A small selection of the documented rituals are presented below. Click the links for more information and pictures. 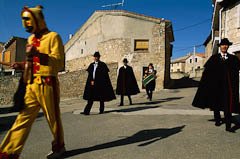 Every year the village of Castrillo de Murcia in northern Spain holds its Fiesta del Colacho. On the last day of the fiesta, all the infants born during the year are jumped over by el Colacho, the devil incarnate, a ritual intended to protect them against evil. 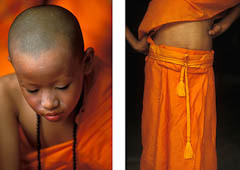 Among the Shan living in northern Thailand every boy becomes a novice monk and spends a month in a monastery to learn about Buddhism. At the end of March or the beginning of April each year, the three-day Poy Sang Long festival is held to celebrate the boys’ entry into novice monkhood. In Kautokeino, where nine out of ten inhabitants are Saami, the period just before Easter is traditionally a time for confirmations. Thereafter the spring migration begins and the herders move with their reindeer to summer pasture on the Atlantic coast. When an Apache girl has had her first menstrual period, she goes through the four-day-long Sunrise dance, which transforms her into a grown-up woman. 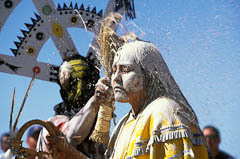 During the ceremony, the Apache myth of creation is reenacted. 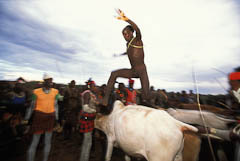 Before a Hamar man is allowed to marry he must first perform the bull jump, during which he runs naked across the backs of a row of bullocks. When a woman in Palau, Micronesia, gives birth to her first child, she goes through the ngasech ceremony. During several days, she is given hot, cleansing baths by a medicine woman, until she finally shows herself and her child to the husband’s family. 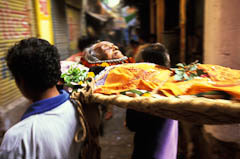 In Varanasi, one of Hinduism’s most sacred sites, funeral pyres burn around the clock. To be cremated here is to be liberated from the eternal cycle of death and rebirth.